TimberTech’s decking lights offer a stylish and energy-efficient way to add beautiful low-level lighting to your outdoor space. These gorgeous lights are great at adding definition to decks, paths, steps and driveways. They are also completely safe to walk on – even in bare feet – as our LED deck lights do not generate heat. 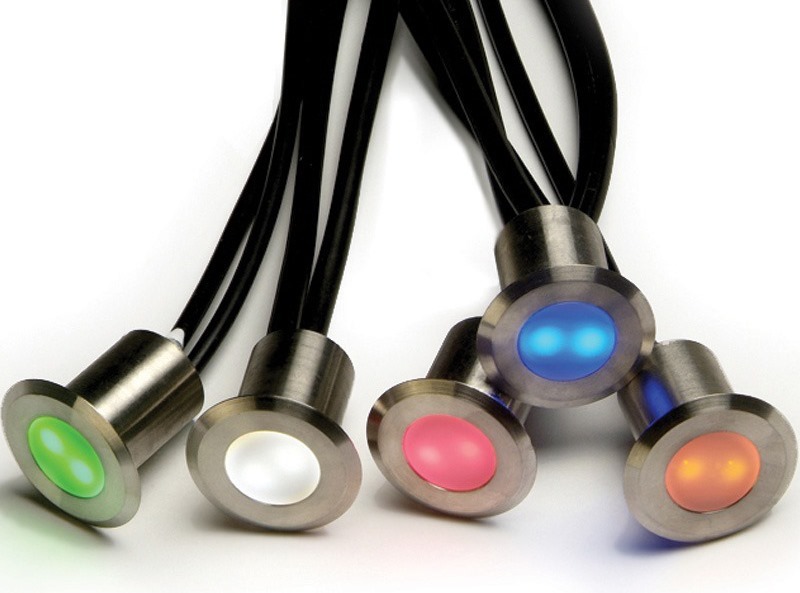 Available in five colours, our outdoor deck lighting can change the mood of your garden at the flick of a switch. 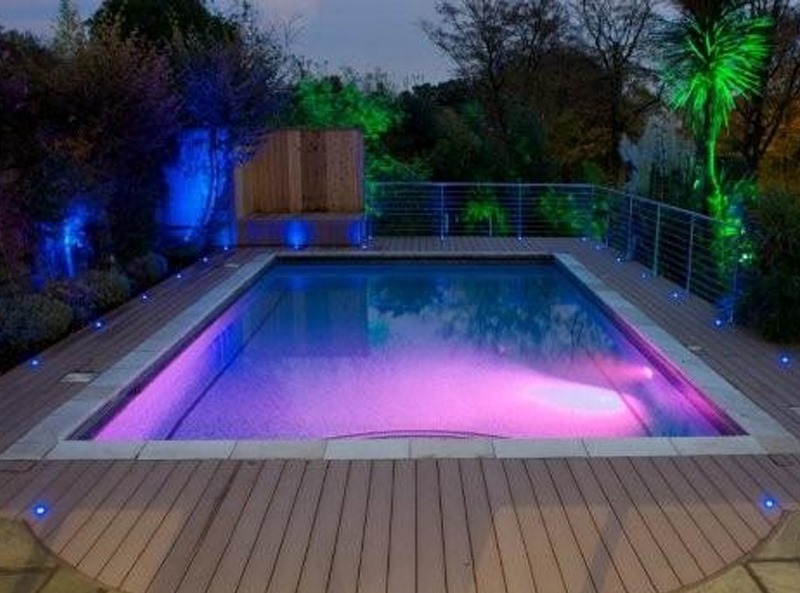 The lights work superbly in conjunction with our various decking products to provide a subtle, ambient effect. The products we supply are arguably the most professional, reliable, and long-lasting decking lights available today. They look fabulous, and they allow you to make the most of your garden decking and go outside even when it’s dark! 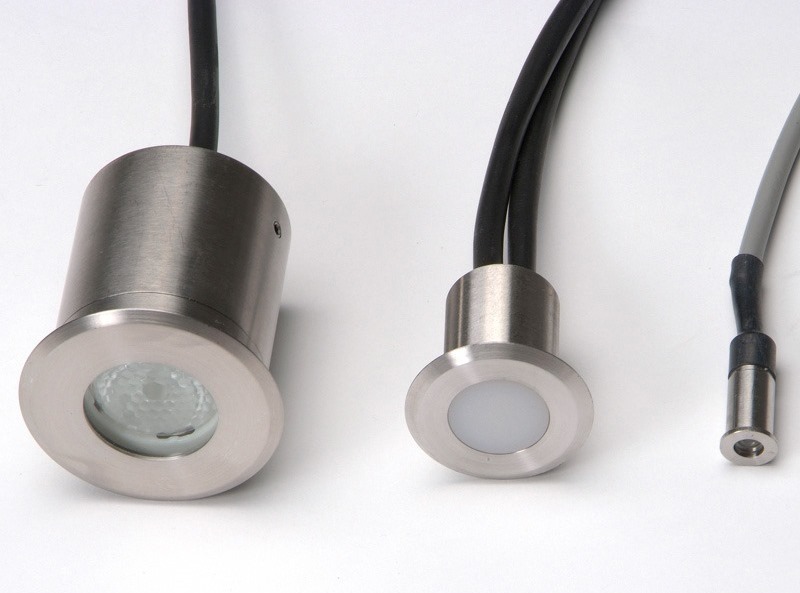 Supplied in kits of 4, 8 or 10 deck lights. Kits includes lights, cable and power supply. System runs at 24v (as opposed to 12v). This is still a low voltage, but it allows you to power more deck lights and ensures that lights can be placed up to 100m away from the power source without affecting the brightness. 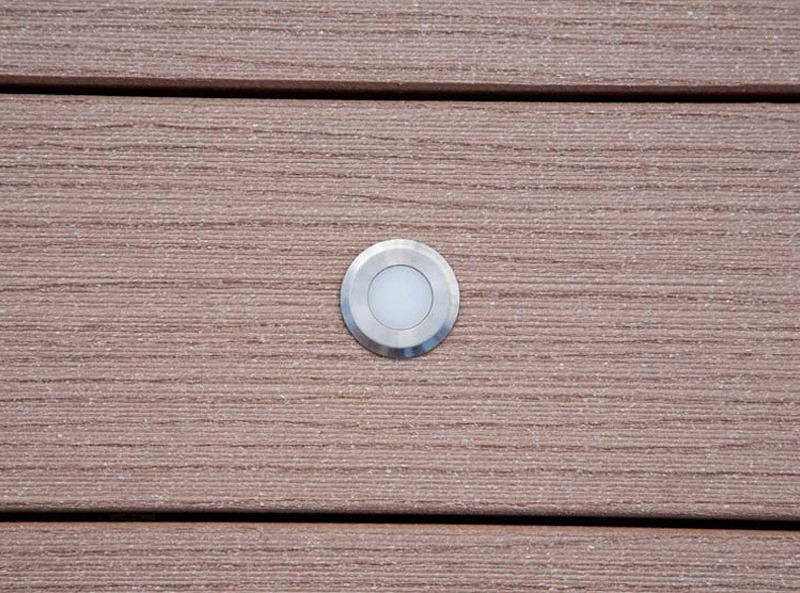 To find out more about our LED deck lights, please call TimberTech UK on 029 2080 3756. "Looks really contemporary and goes perfectly with the grey deck that I also got from TimberTech."